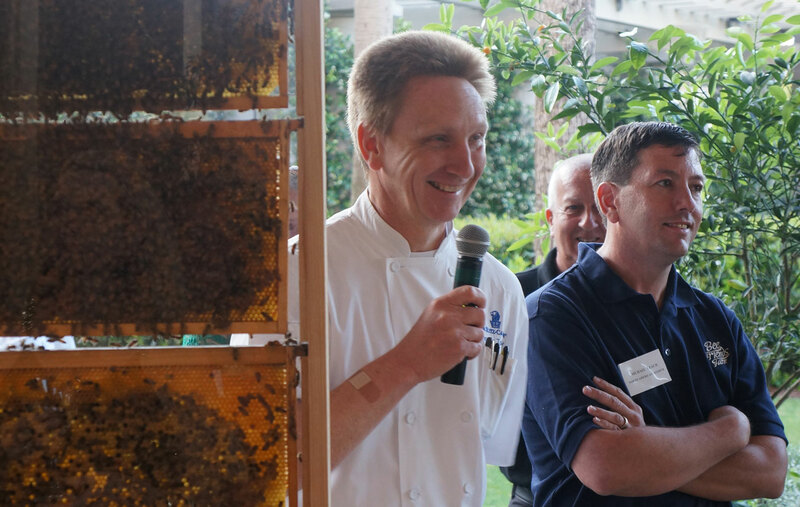 Every year, Ritz-Carlton Amelia Island's Executive Chef Thomas Tolxdorf leads a group of chefs to visit farmers, growers and seafood purveyors for a better understanding of their capabilities and how they work. “Our goal is to partner and support our growers so we may offer fresh, sustainable foods” explains Chef Tolxdorf. Vichyssoise - a vegetarian version - was cool and silky smooth. and baked Clams Casino, served from a shovel. Adorable! 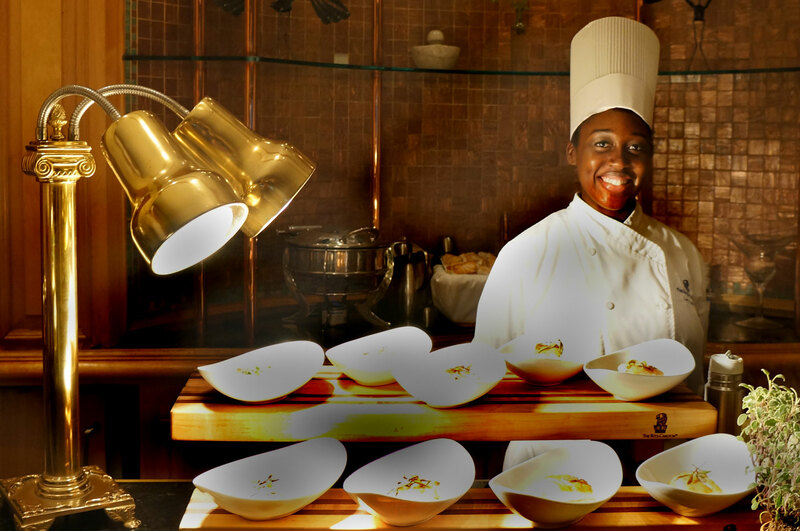 Back at the resort, these partnerships are celebrated in a series of Meet the Farmers Dinners. I was recently an invited guest of the Ritz-Carlton at their Cafe 4750 for one of these entertaining and informative events. The first one I attended was in 2011, and I was happy to be invited again this year. I learned a lot about what goes into bringing top quality, fresh, sustainable food to the table. The evening began with a reception with passed hors d’oeuvres, followed by an appetizer buffet of cheeses, fruits, breads and meats. 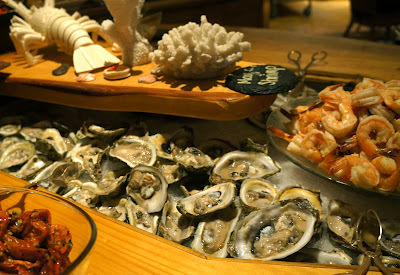 The dinner featured local seafood, chicken, vegetables, salad, house cured meats and elegant desserts -prepared and presented at a series of buffet stations attended by Ritz-Carlton chefs. Danny Johns is a fourth generation potato farmer with 20 varieties on 600 plus acres - including Blue Fingerling, a first for Northeast Florida and SunLite, a low carbohydrate potato. His potatoes were showcased in a chilled Frutti del mar and served family-style at table to complement the main entrees. Bacon Farms Lettuce - soft, tender, fresh local produce. 6,000 square feet under greenhouses, using organic and beneficial pest control for Hydroponic Arugula, Butterhead, Multi-Leaf, Red Oak, Romaine and Upland Watercress lettuces. Their website name, greatlettuce.com says it all. Environmental stewards with a mission to rehabilitate farmland from years of soil abuse, they developed a full production dairy farm with a Jersey only herd. Their crops are Oyster Mushrooms, Artisan Cheese and Blueberries. A standout in the cheese display was their award winning Aztec Cheddar - a traditional Cheddar layered with Guajillo chilies and black cocoa. I was pleasantly surprised to see a wedge of this nutty favorite in our guest bag at evening's end. It's going to figure into our Sunday afternoon plans quite nicely! Beginning in 1992 as a food clam distribution operation, Cedar Creek Shellfish Farms grew into a successful seed clam business to other farmers. They built their own hatchery and produce 40 million clam seedlings from January through July. With a 52 week per year harvest season, their goal is to harvest and process 100,000 clams per week in the coming years. If they are as fine as the clams we enjoyed raw and stewed in broth, we're hoping to sample more soon. Beekeeper, Michael Leach. And there were live bees present. 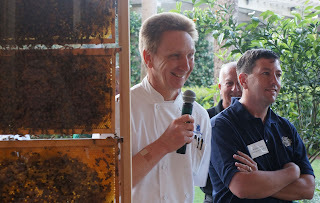 Micheal Leach is the Beekeeper for The Ritz-Carlton, Amelia Island. He maintains the resort’s 200,000 bees and harvests the honey used in the kitchens. He also holds harvest and honey processing demonstrations for guests and groups. The stories he told us about the behavior of honeybees were amazing. This guy really knows bees. The thousands of LIVE BEES in the glass enclosed hive display were a most fascinating aspect of the evening, as was the honey tasting. We couldn't get enough! Logan's Mill grit cakes and napped with shellfish essence. Gary Reed began selling fish out of his truck direct to restaurants - he even filleted the fish right in his truck. Today Gary's Seafood and Specialties is one of the most respected suppliers of the highest quality seafood, sourced from Florida and all over the world. Mayport Shrimp, Oysters on the half-shell. Keep 'em coming! 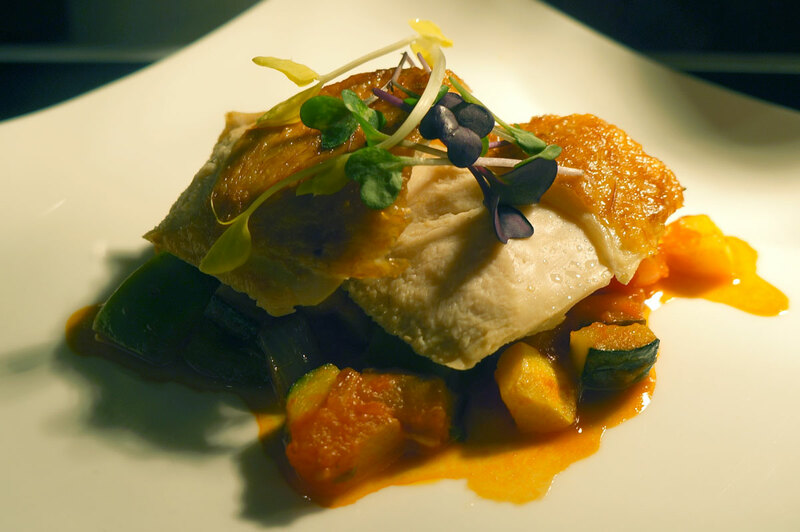 Ratatouille with fresh local vegetables, and topped with micro-greens. Dessert is an art form at the Ritz-Carlton. Always. Thanks again to our hosts, the Ritz-Carlton Amelia Island, Executive Chef Tolxdorf, and the entire crew at Cafe 4750 for a lovely evening. The ticket price was $75 - the value was far greater. My participation was compliments of the resort. at Cafe 4750 - they really, really, really do it right. I will always disclose when, as in this instance, I have received free food or swag, but I will not allow said gift to color my opinion or reporting of the food and experience. I attempt to share in plain terms what I do and don't like, and if I like it, I will urge you to try a place for yourself and form your own opinions. 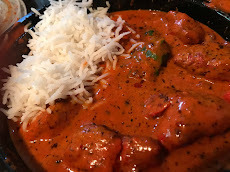 I'm not a trained chef or expert in any food related field, I just appreciate the social and cultural aspects of good food and dining experiences, and I enjoy sharing them with you through my blog. Thanks for reading!